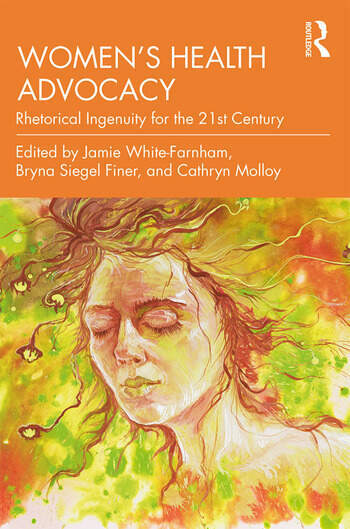 Women’s Health Advocacy brings together academic studies and personal narratives to demonstrate how women use a variety of arguments, forms of writing, and communication strategies to effect change in a health system that is not only often difficult to participate in, but which can be actively harmful. It explicates the concept of rhetorical ingenuity—the creation of rhetorical means for specific and technical, yet extremely personal, situations. At a time when women’s health concerns are at the center of national debate, this rhetorical ingenuity provides means for women to uncover latent sources of oppression in women’s health and medicine and to influence matters of research, funding, policy, and everyday access to healthcare in the face of exclusion and disenfranchisement. This accessible collection will be inspiring reading for academics and students in health communication, medical humanities, and women’s studies, as well as to activists, patients, and professionals. Jamie White-Farnham is Associate Professor and Writing Coordinator at the University of Wisconsin-Superior. Bryna Siegel Finer is Associate Professor and the Director of Liberal Studies English and Writing Across the Curriculum at Indiana University of Pennsylvania. Cathryn Molloy is Associate Professor and Director of Undergraduate Studies in James Madison University's School of Writing, Rhetoric and Technical Communication.